At the end of 2015, the MOOC aggregator Class Central released their Best Online Courses of 2015 list. We were delighted to learn that the University of Cape Town’s Massive Open Online Course (MOOC) What is a mind? came in at number six out of their ten best courses. Furthermore, the course ranked second in the psychology category, and third among social science courses. MOOCs are free online courses with no entry requirements. The rankings are derived from learner ratings and therefore reflect learner satisfaction. As one of only three institutions from the Global South to make the “Top Ten”, this was a particularly pleasing outcome. What is a mind? convened by Prof Mark Solms is one of UCT’s free online courses hosted on the British-based platform FutureLearn and emanates from the UCT MOOCs project – a initiative funded from the Vice-Chancellor’s Strategic Fund. This initiative has a number of objectives including sharing UCT’s teaching and learning with a wider audience as well understanding how people can learn in open online environments. This objective is of particular interest to the course design team, and in this post we reflect on some of the design features that we believe have led to engagement and positive user feedback. 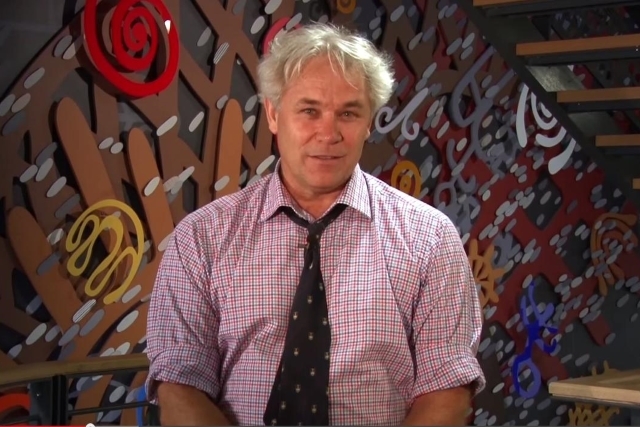 We have known for a while that Prof Mark Solms’ What is a mind? course is an exceptional learning opportunity, if the learner comments are anything to go by. Learners appear to be intrigued by exploring what a mind is and how one can conceptualise aspects of the mind. Prof Solms’ work integrates perspectives from neuroscience and psychoanalysis so as to include subjective experience in scientific understandings the mind. Participants are introduced to specific terminology and concepts in exploring four aspects of the mind: subjectivity, consciousness, intentionality and agency. A combination of Prof Solms’ engaging lecturing style, that encourages dialogue and discussion, and the presence of course mentors to keep an eye on discussions gives learners the opportunity to join a community of peers and engage in rich discussions. As MOOCs are characterised by open enrollment, diverse people from many backgrounds and contexts join the course, and a design challenge is to accommodate multiple voices. In addition, we found that learners started answering each other’s questions, which exhibited peer learning and students taking on teacherly roles. Participants also created short writing assignments which were then reviewed by their peers and could check their understanding by taking quizzes. As course designers, we are pleased when a course is acknowledged by learners, and as we continue to learn about what makes MOOCs work, we deploy new strategies for social engagement and community formation in open online courses. Such strategies include looking for opportunities to connect learners with each other and amplifying the lead academic’s time and presence. Underpinning this is the FutureLearn platform on which the course is built and hosted; the platform is designed to privilege and support social learning and conversations, making it a good fit for this particular course. The course will be running twice this year and enrollment for the April run is now open.